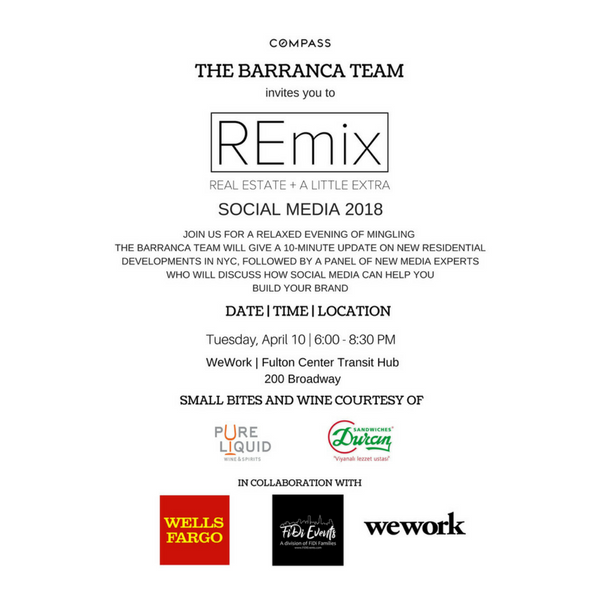 Join FiDi Families + FiDi Events and Compass’ Barranca Real Estate team for REmix, a fun networking event at WeWork Fulton Center on April 10th from 6-8:30 pm. 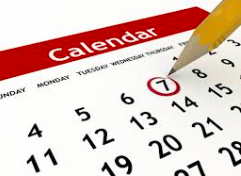 The evening will begin with a brief update from the Barranca team on the new residential development market, followed by a 30-minute panel discussion regarding leveraging social media to build your brand and business. Following the presentation, guests are invited to mingle and network. Guests will enjoy wine courtesy of Pure Liquid Wine & Spirits, located at the Westfield World Trade Center / Oculus and small bites courtesy of Duran Sandwiches. 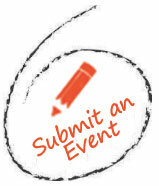 Be sure to RSVP HERE for a chance to win a raffle prize.